This area has a combination of wetlands (Quigley Pond & the Gila River), agricultural fields with weedy edges, and desert habitat. This area is especially interesting to visit in the winter & early spring, when you can find Prairie Falcons, Ferruginous Hawks, Northern Harriers, LeConte's Thrashers, and a variety of sparrows (White-crowned, Vesper, Savannah, Brewer's, Sage, Lincoln's, Song, and Lark). Migration brings passerines and shorebirds, including Whimbrel and Long-billed Curlew. Occasional Tundra Swans and White-fronted Geese use Quigley Pond and the managed wetlands. Other waterfowl are easy to see before and after hunting season. The Gila River is attractive all year round, and provides great habitat for White-faced Ibis, herons, egret, Cinnamon Teal, Vermilion Flycatcher, and Blue Grosbeak. And be sure to check through any little doves for Ruddy Ground-Doves, which winter in the area. An oxbow of the Gila River, this large marshy lake is best viewed by driving north on Ave 40E for about a mile, and turning left onto a sandy road (before Ave 40E drops off the bluff into the Gila River Valley). Drive west about 1/2 mile on this sandy road, park, and walk to the edge of the bluff. From here you may see raptors, waterfowl, cormorants, and swallows. Depending on the time of year, grebes, moorhens, and rails call spontaneously, or respond to tapes. These fields can be viewed from the bluff overlooking Quigley Pond (with a scope) or by walking in from the north (up to the No-Trespassing sign). In past winters Tundra Swans have made regular but brief visits; geese and waterfowl are more common. Northern Harriers and other raptors patrol the fields. 2 White-tailed Kites were here in the winter of 2005-2006. Shorebirds are regular but hard to see from the bluff. A large stand of cottonwoods and willows is along the access road (just north of the farm fields). Check this for abundant migrants in the late summer and early fall, and for rarities like Dusky-capped Flycatcher (Dec 05). The shallow waters of the Gila River is regularly visited by White-faced Ibis, egrets, herons, shorebirds, and waterfowl. A heron rookery is about .5 miles south of the "ford" on private property. In migration, look for warblers, vireos, and flycatchers in the willows & cottonwoods. 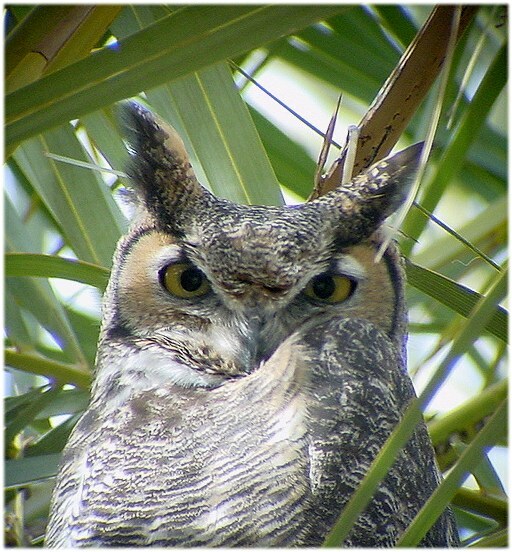 Drive the Gila levee to see more habitat and species. For several winters a Ferruginous Hawk and Prairie Falcon have called this area home. 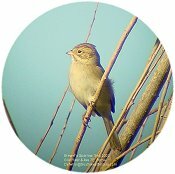 These fields are often planted with alfalfa, and have lots of weedy edges attractive to Vesper, White-crowned, Brewer's, and Savannah Sparrows. 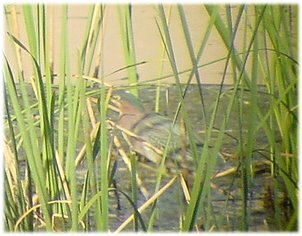 Water Pipits and Western Meadowlarks are also common. During February & March this can be a relatively easy place to see singing LeConte's Thrashers. From Hwy 80, turn left (n.) onto Ave 45E. Go about 1/4 mile past the farm complex and turn right on an inconspicuous dirt/gravel road. This road had large saltbrush flats that were good for the thrashers up until 2005, when it was burned. Until they grow back, you'll need to drive to the end of this road and bird the desert to the east, where the thrashers perch in the mesquites to sing. This is private land, but barren, and as of 2001, we've been given verbal permission to look around. - Drive north on 4th Ave .2 miles and get onto I-8 eastbound. - Drive east 40 miles on I-8 to the Tacna exit (Ave 40E). 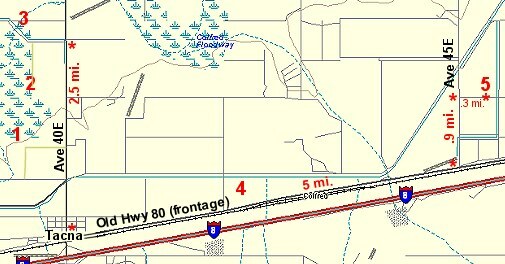 - Drive north on Ave 40E about .25 miles to old Hwy 80 (just north of the rail road tracks). - Turn right to access the agricultural fields and the thrasher site. Continue north to access Quigley Pond and the Gila River. These pages give you some idea of the birds that you can find in this location during the winter and fall. 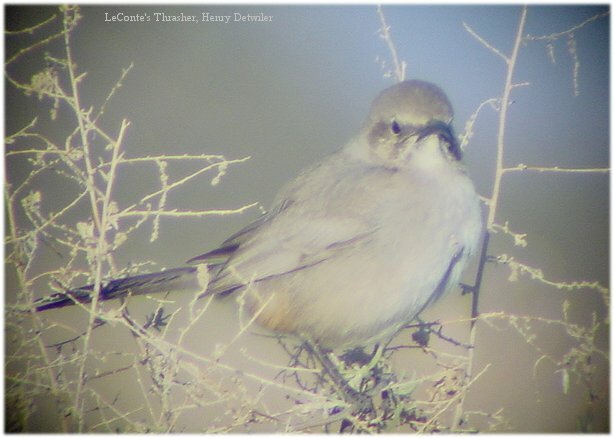 24 Feb 2001 - trip with Paul Sherrell to search for LeConte's & Bendire's Thrashers--success! 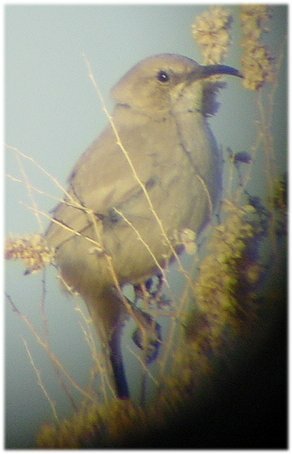 3 Feb 2002 - morning trip with Aaron & Sharon to look at the LeConte's Thrasher--it perched and sang several times. 10 Nov 2002 - quick trip out to the LeConte's Thrasher site with Anne & Stuart--not the best time of year, but heard and saw one anyway! 21 Aug 2004 - looking for a reported Roseate Spoonbill, which we didn't find--instead we saw literally hundreds of birds of all kinds of species in the Quigley Pond Game Management Area. Vermilion & Willow Flycatchers, Blue & Black-headed Grosbeak, finches, sparrows, and warblers galore.